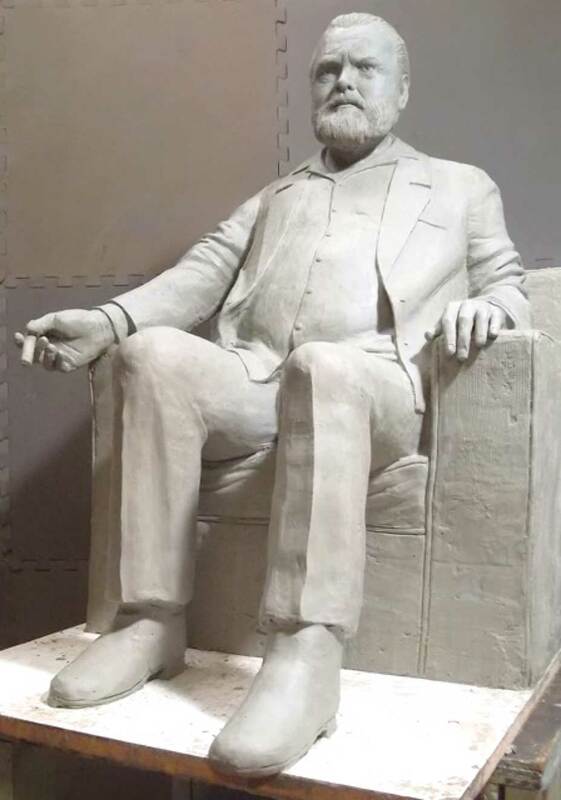 Scribner's latest, a three-quarter cast bronze sculpture of Woodstock favorite son Orson Welles, will grace the Woodstock Square in 2018. The sculpture will be placed in the Sculpture Garden located in the pedway just north of the Woodstock Theatre at 209 Main St next to the new "Woodstock on Film and on the Stage" mural. The overall project was led by mural designer Michael Stanard of One Zero Charlie, based on a concept by former City Councilman RB Thompson, and completed in one year through the efforts of a five person volunteer committee. Both the mural and sculpture garden were funded by over 100 private donors and a grant from the McHenry County Community Foundation. Approximately $2,500 in funds still needs to be raised to complete the Welles sculpture. The "Woodstock on Film and on the Stage" Mural and Sculpture Garden not only celebrates our community’s history, it is a uniquely beautiful and creative work of public art that tells fascinating stories about Woodstock’s longstanding cultural environment," says Terry Willcockson, a member of the mural committee and Grants/Communications Manager for the City of Woodstock. Four times per week, Scribner takes the UP-Metra Northwest line to Chicago to teach sculpture at American Academy of Art. 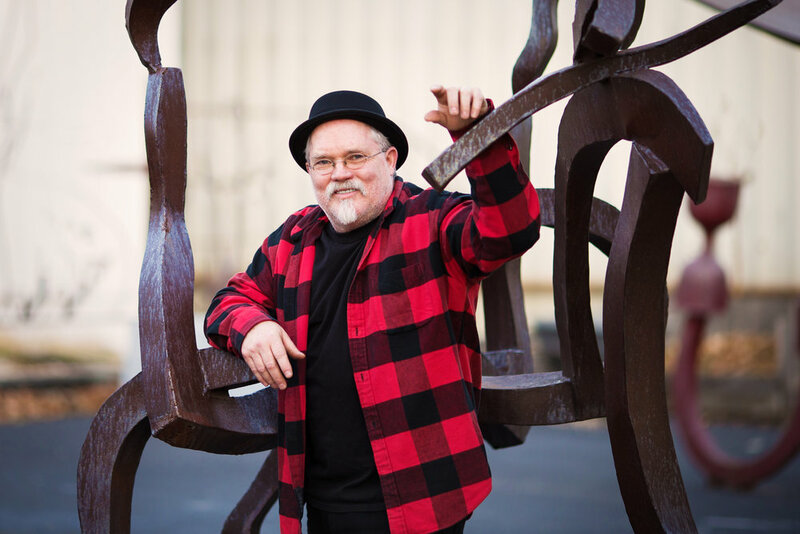 His sculptures have been exhibited around the country, with several in Chicago. One, called Moonshine, rests in the Pullman neighborhood at West Pullman Park. Scribner says he had "wanderlust" when he was young, living all over the country until settling in Barrington for 12 years and moving to Woodstock in 2004. So, what does Scribner love about Woodstock? "It’s a beautiful town with nice old buildings and great history. It attracts creative people. It attracts musicians and writers and artists. My kind of people," he says, "For a town its size, it has a great cultural life." For creatives, Scribner offers this advice: "Keep your eyes open. Stay interested," he says. "Curiosity is helpful. And then other times you might be working on an idea and then something lands on you from outer space." Donations can be made to Friends of the Opera House/Mural Fund, a 501c3 charitable organization, and mailed to BMO Harris Bank, 225 W Calhoun St, Woodstock, IL 60098. A donation jar is also placed inside the Woodstock Theatre lobby.